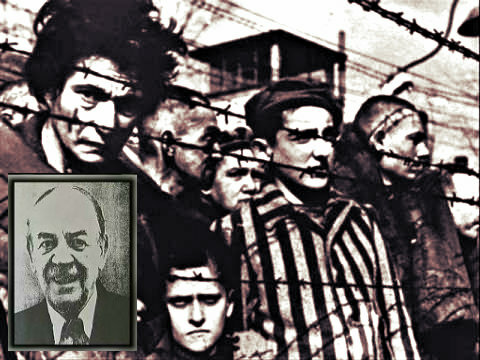 Johaan Breyer (inserted photo), ex-Nazi prison guard under fire has passed away. Ex-Nazi prison guard Johann Breyer, 89, passed away at a hospital in Philadelphia while awaiting extradition to Germany for war crime charges. Attorney Dennis Boyle, lawyer of the ex-Nazi prison guard, was the one who informed the press about his client’s death Wednesday, July 23. The ex-Nazi prison guard died Tuesday night at the Thomas Jefferson University Hospital in Philadelphia. Attorney Boyle disclosed the death of the ex-Nazi prison guard on the same day a US judge granted the request for the 89-year-old retired tool-and-die maker to be extradited to Germany so he could face the charges against him. The decision, however, is still liable to the approval coming from the US government. Meanwhile, other than saying that the ex-Nazi prison guard had already passed away, the US attorney’s office had not disclosed any additional information about the death of Johann Breyer except that his health was failing prior to his death. German prosecutors had anticipated they could bring the ex-Nazi prison guard into trial. The charges they pinned against him were aiding and supporting the murder of over 200,000 Jews who were imprisoned in Auschwitz-Birkenau, one of the most notorious death camps of the Nazis during the Second World War. Breyer, in his counter affidavit, had stated that he was forced to work as an Waffen SS guard during the war. he was still in his teens that time. he also claimed that he had abandoned his unit to take care of his ailing mother and father. Ex-Nazi prison guard Johann Breyer had an American citizenship as his mother was born within the country before moving to Europe where he was born. he had moved to Philadelphia shortly after WWII. For decades, he was able to live a quiet middle-class life along with his family. However, in 1992 the wartime background of the ex-Nazi prison guard came to light. The US government tried to revoke his US citizenship because of this. However, he was able to win that year-long courtroom battle as his lawyers were able to establish that the ex-Nazi prison guard had been a minor when he joined the SS. As an individual under the legal age of maturity, he couldn’t be held responsible for joining the said unit legally.